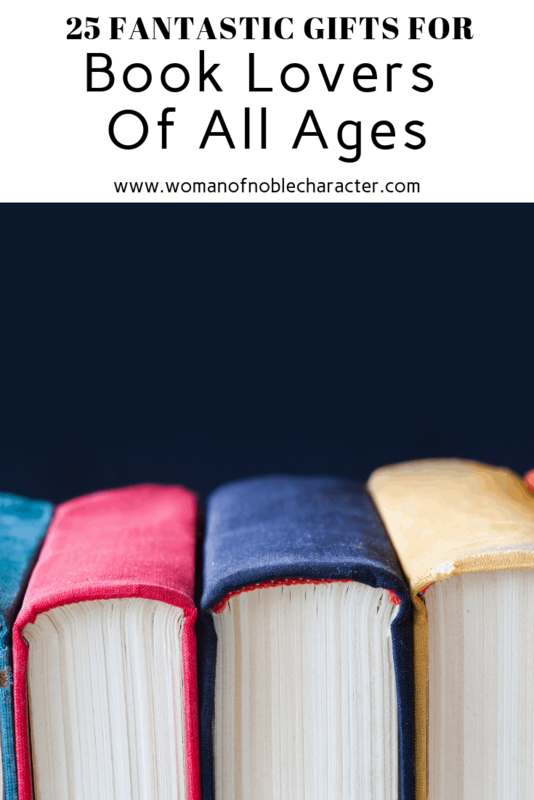 Trying to find the perfect gift for a book lover can be daunting! Of course, they love books, but which books? Which genre? 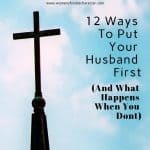 Which have they already read? 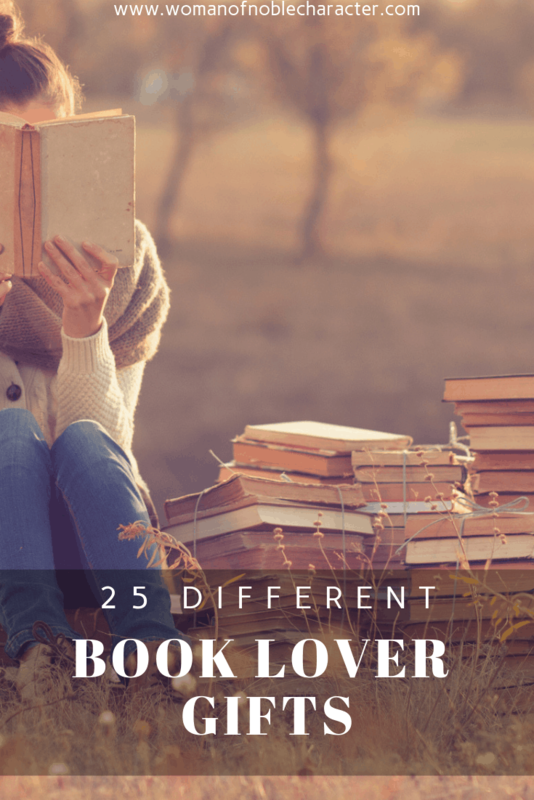 Fortunately, there are some wonderful gifts for readers that nearly any book lover will love. 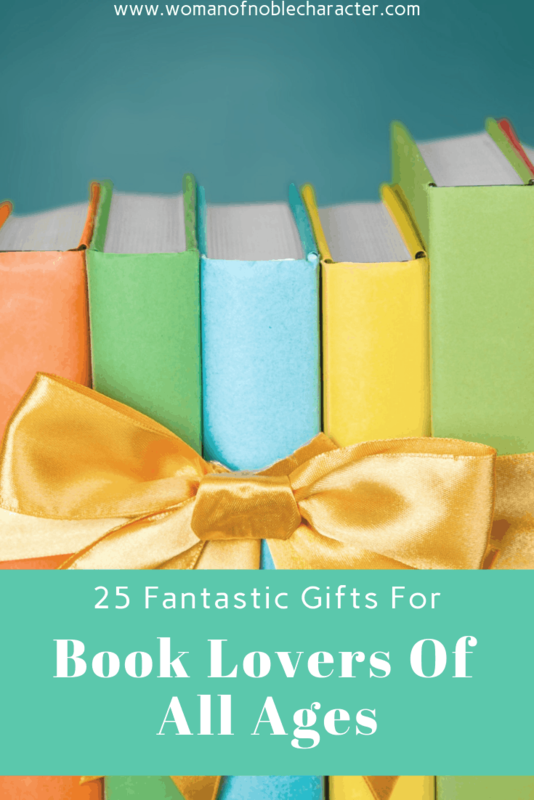 You’ll want to bookmark this post to have handy for birthdays, Christmas, Valentine’s Day and any other occasion for gift giving for the book lover in your life. Many are also great gifts for young readers to encourage the love of reading. For a bibliophile, there’s no greater pleasure than sharing beloved books, but no crueler pain than losing them for good! Revive old-fashioned library circulation techniques for fun and book retention with this perfect gift for the generous reader. Includes 20 self-adhesive pockets and checkout cards; date stamp and inkpad; pencil. The trodat handheld embosser is designed to also sit on your desk and be used as a desktop embosser. Designed with new mechanism to create embossed images with minimal effort. Includes 50 Gold Seal Labels, and a deluxe snap pouch for storage. Embosser seal engraved inserts are removable and interchangeable – you can order multiple replacement inserts to use with your embosser. Impression area: 1-5/8″ round dia. (actual artwork may be a bit less). The book page spreader fits your thumb as a ring and helps to spread the pages of the book while open. Useful for reading with one hand on the bus, train or anywhere. Standing, sitting or lying down, and you still have a free hand for a nice cup of coffee. Made from dry beech wood, which is eco-friendly. Regular size is suitable for both adult and children’s books. Measurement: 4 x 1,4” Thickness: 1/2” and Hole Diameter: 0,9”. Wire art bookmarks with decorative curves in the wiring and packed with beads. Additionally, the backside is designed with a triangular clip to prevent slipping inside the book. Handcrafted in Arizona, USA, these bookmarks are created using high gauge, strong copper based wire that will not discolor overtime. All beads are glass pearl beads. Each bookmark individually wrapped and placed in a box, ready for gift giving. This is a great, hands free book holder which doubles as a travel pillow; in a car, bus, plane etc. The pillow will mold itself and shape to sit at any angle on any surface that you place it. The fabric used is the latest high quality 190gsm faux-suede. Finest Jacquard woven microfiber, soft and thick. An elegant tie, it is comfortable to wear and touch, and sewn to last. Size: 57x 3.15 Inches ( LxW ). 100% Chiffon – The fabric is thin, soft and light weight and sewn in a double layer. What a fun way to accessorize for the fashion conscious book lover! Celebrate great books and the art of reading with this beautiful charm bracelet. Made from stainless steel, this wire bangle with charms is lead free and nickel free. The bangle is adjustable and will fit most people’s wrist (accommodates wrist sizes 6″-8″). These super soft pajamas are 100% cotton and breathable for your sleepwear comfort. Unisex bottoms fit loose with a string waist and no fly and the tops are 100% cotton shirts with a fitted, longer length to complement your curves. What’s better than curling up in bed with a good book? These library card socks make great nerdy birthday gifts, Christmas gifts, teacher appreciation gifts, graduation gifts, or librarian gifts. This single pair of 100% polyester novelty socks feature a cushioned toe and heel for extra comfort. The pictured design is printed around the socks using a fade-resistant printing process. These socks are machine washable. Available in two sizes. Small measures 15″x15″ with 26.5″ sturdy reinforced fabric handles and medium features full side & bottom support gussets, measures 15″x18″x6″ with 22″ reinforced fabric handle. Make this shopping tote your new favorite grocery bag, library tote, or beach tote. These bags are also great gifts for him or her, young or old, for any occasion. Machine wash cold inside out with like colors and tumble dry low for easy and convenient care. Made with environmentally-friendly, animal-safe, leather-like materials. Stay secure, RFID protection material is built in. Fit’s phones between 58mm-80mm (2.28-3.14 Inches) wide, 100mm-165mm (3.93-6.49 Inches)high and 5mm-9.2mm (.19-.36 inches) thick. Available for both iPhone and Android phones. Travel sized, automatic book umbrella with UV protection. It’s raining books! Well, that would be dangerous but what a fun umbrella to take with you on rainy days and remind you of all of the books you have on your wish list. Cotton linen material. Machine washable. Dimensions: 18″ x 18″. Zipper close cover (does not include insert or filler). Throw Blanket size:50″x30″ made of high quality Polyester. Different colors and patterns to choose from. Perfect for cuddling up with your favorite book! What a fun way to display books! These fun bookends feature Library Books with four small hidden drawers! This calendar celebrates a woman and their books, their letters, and their journals. 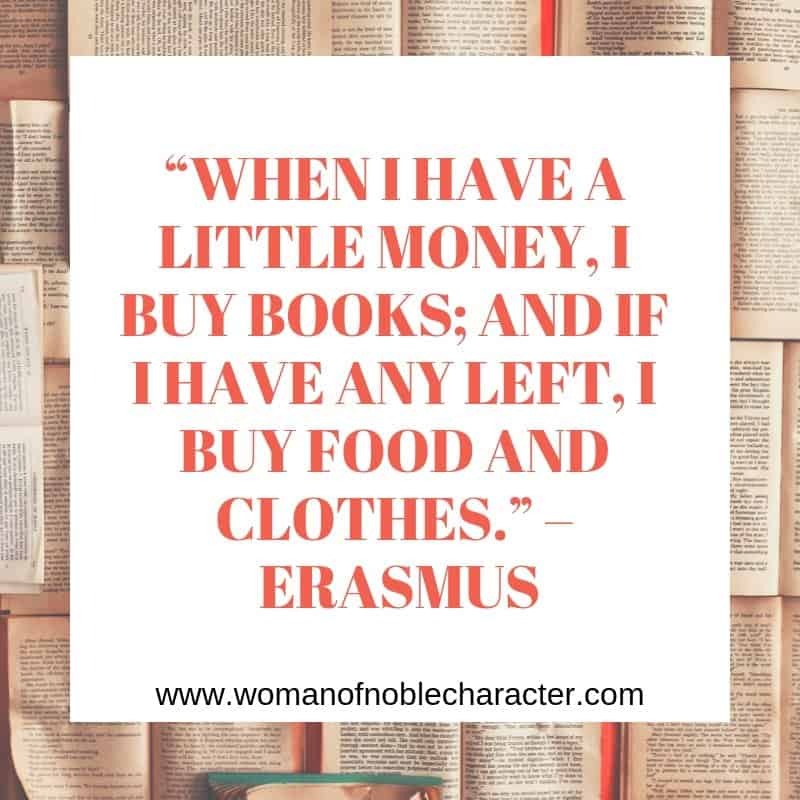 Accompanying each image is a quote on the subject of readers and reading. Who doesn’t love a wall calendar? Fun, colorful coasters based on vintage library book check out cards. A great pop of nostalgia for your table and the perfect Book Club hostess gift. 11oz Dishwasher and microwave safe mug. Made Eco friendly with lead-free inks. Designed and printed in the USA. This one is on my wish list, too! Baked in France and filled with inspiration. Tucked inside of each delicious little biscuit is a piece of paper with a pithy quote by a famous author (such as “It is not in the stars to hold our destiny but in ourselves.”?William Shakespeare), offering life advice or clever counsel. Quirky literary fortune cookies are fun favors for book club meetings, conversation starters at social gatherings, one-of-a-kind stocking stuffers, and stimulating after-dinner fare. Elegantly-packaged novelty cookies come 10 to a bag. 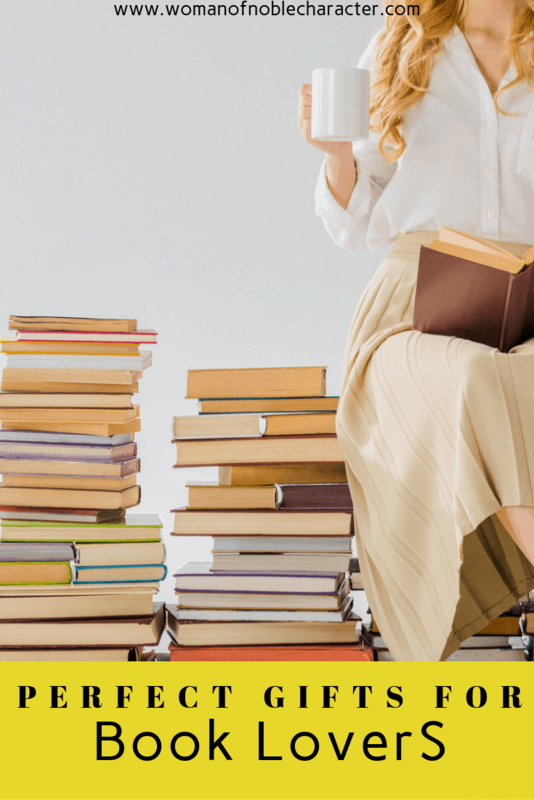 This game asks players to look through their favorite books for the cleverest dating advice, tabloid headlines, and more. For ages 12 and up. 3 or more players needed to play the game. Includes 100 prompt cards. 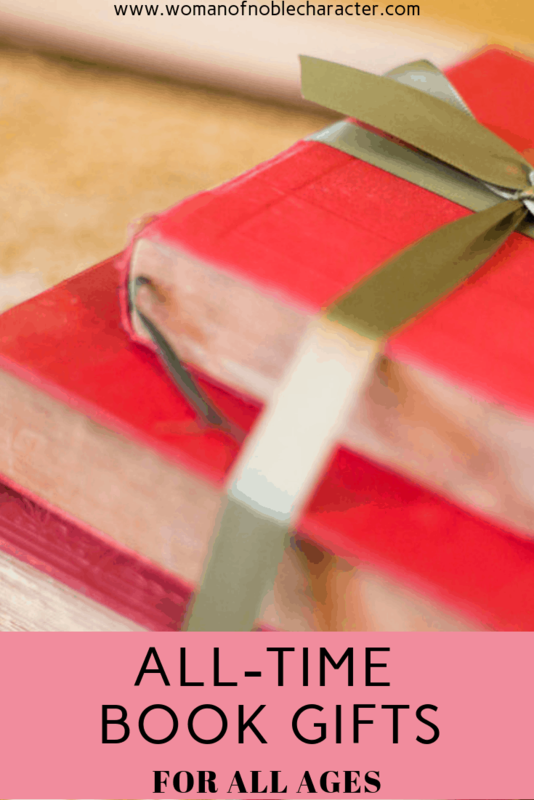 Did you find any favorites on this list of gifts for book lovers? Which ones are on your own wish list? Did I miss any great ones? Tell me in the comments below. Did you read Pilgrim’s Promise, the epic literary masterpiece by John Bunyan? See my review of the movie based on the book. Shopping for a chocolate lover, instead? Here’s a fantastic list of gifts for chocolate lovers.